Let’s just get this out of the way: The following list in no way represents which Star Wars movie is objectively the best or which one is your favorite. It is simply a list of all theatrically released Star Wars movies (with the exception of Solo), ranked by how much screen time the female characters in each film get. That’s not to say it’s not an important list. Representation matters, and it’s interesting to see how Star Wars—a franchise that’s been both lauded and criticized for its use of female characters over the years—has evolved to be a more inclusive film universe. With that out of the way, let’s take a look at the numbers, courtesy of film lecturer and avid Star Wars fan Becca Harrison. The first—and least surprising—thing you might notice is that the three films with female leads top the list, with Rian Johnson’s The Last Jedi coming in at number one. As IndieWire notes, these three films are also the highest grossing of the entire franchise. 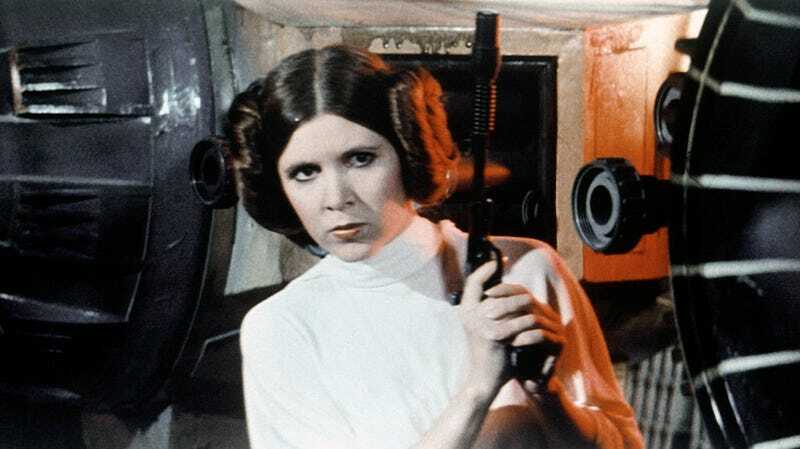 Given how iconic Princess Leia’s presence is in the original 1977 film, it’s a little shocking that A New Hope comes in at the very bottom with only 15% of the total screen time given to Carrie Fisher (and Shelagh Fraser as Aunt Beru). Perhaps most interesting is how the prequels align on this list. As one Twitter user points out, it’s interesting that the screen time for female characters decreases over the course of the trilogy “even though Padme becomes mildly more important.” Harrison notes that part of this has to do with the lack of Shmi and Beru in Revenge Of The Sith, but also, even though her relationship with Anakin is supposed to be the emotional focal point of the film, Padme is barely in the third installment. For the next part of her project, Harrison plans to analyze the films based on screen time for black women and other actors of color, which one Twitter user depressingly pointed out “will take much less time.” But, again, it’s interesting to see where this franchise has been and, hopefully, where it’s continuing to go.